When I talk to new jewelry students about selling offline at local events, I caution them to do Art and Craft-friendly venues only. I also suggest that if they are invited to do a non-craft, non-art event, do a little research before paying the show fees. Art and Craft patrons come to events because they appreciate the ability to purchase handcrafted items. They usually know the value of your work and you don't have to educate them about stones, beads, metals, and wire. 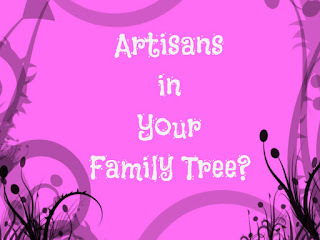 Art/Craft lovers enjoy meeting you because you are the artisan. They see you as talented and creative, and when they like something, they buy it without haggling over your price. At non-craft, non-art event, attendees often see you as just another vendor pushing a product. They may look, ask for your business card, and walk away empty-handed. No Flea Markets - Shoppers are looking for a bargain. No events with amusement park rides - Carnival attendees aren't likely to buy anything they might damage or lose while spinning and twirling. No fashion shows - People come for the show not to buy stuff. No Elementary school craft shows - Other crafters come to see what you've made so they can go home and copy your designs. I speak from experience. But why would I even try to sell jewelry to people who don't buy jewelry, you ask? Well, it was a mistake. It only happened once and that was enough to never ever let it happen again. 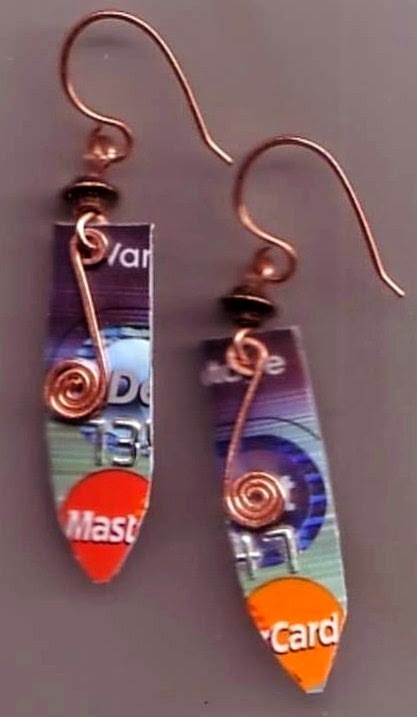 For years I've taught jewelry makers to target their markets. I know it all goes back to doing the research and selling only to those who want what you have to offer. Well, this time I didn't do that. That's why my jewelry and I ended up in a venue I'll simply call The Church Where Women Wear No Jewelry. I was filling in for a friend whose donation level to the church's celebration entitled his Art Gallery to a print ad in the Church Where Women Wear No Jewelry celebration brochure and a booth to sell at their celebration. It sounded like a sure thing: A four-hour event with lots of women who like to dress up. It sounded like a piece of cake compared to a day-long art show. I met the church's celebration representative several weeks before the event. She knew that I would be selling jewelry. She actually looked me in my eye and said "That's great," or something like that. She could have warned me. The evening of the event, lots of well-dressed ladies stopped by to compliment my beautiful display. They kept nodding and smiling, but not really looking. After about an hour of zero-dollar sales, I started noticing them... BARE EARLOBES! I scanned a small group of smiling, talking women... no earrings. I looked at another group of women... no earrings. I stared, my head quickly swiveling from group to group, from one end of the hall to the other. NO EARRINGS! NO BRACELETS, NO NECKLACES! It was a jewelry maker's "Twilight Zone" moment: Hundreds of women in the room and none of them wearing jewelry! After I got over the shock and disappointment, I discreetly asked someone about it. "Oh," she said with a smile. "We don't wear jewelry." I wanted to scream, "What do you mean you don't wear jewelry?" but I was in a church facility and I was their guest. Besides, I had my Nice Lady Jewelry reputation to uphold. I didn't want to mess that up. So I kept smiling and I waited patiently until it was time to go. Before you pay an event fee, do the research. The Church Where Women Wear No Jewelry might be a denominational quirk, but you never know. You can't afford to waste that much time and effort.